Servicing clients in Michigan since 1989. 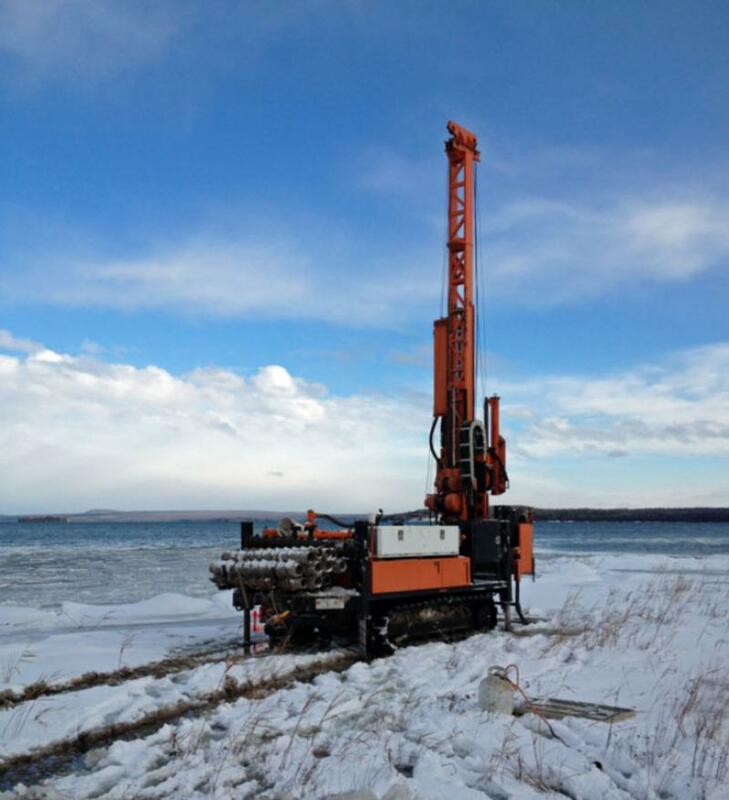 Pearson Drilling Company is located in Northern Michigan and has been serving clients all across the upper and lower peninsulas of Michigan along with parts of Indiana and Ohio. Pearson Drilling . 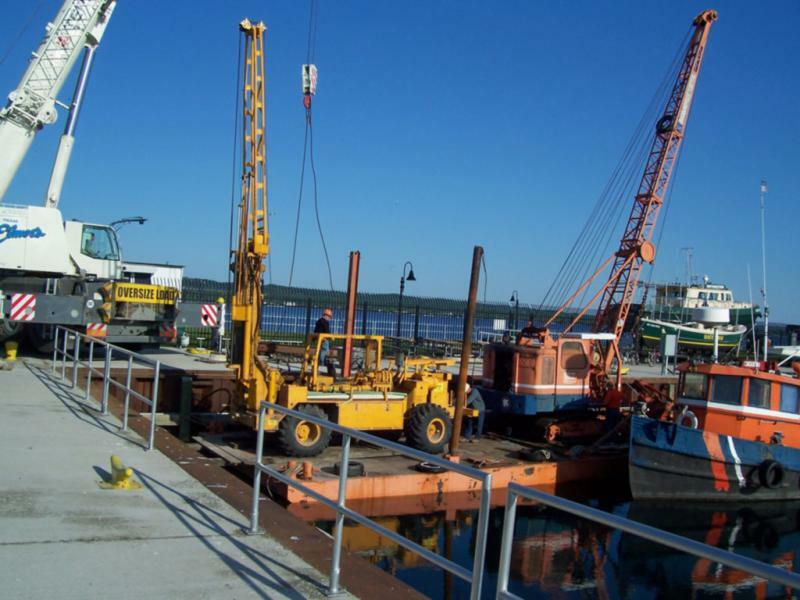 Company started in 1989 with one drill rig working in the environmental and geotechnical field and has grown and expanded its services ever since to meet clients needs and continues to expand its services. 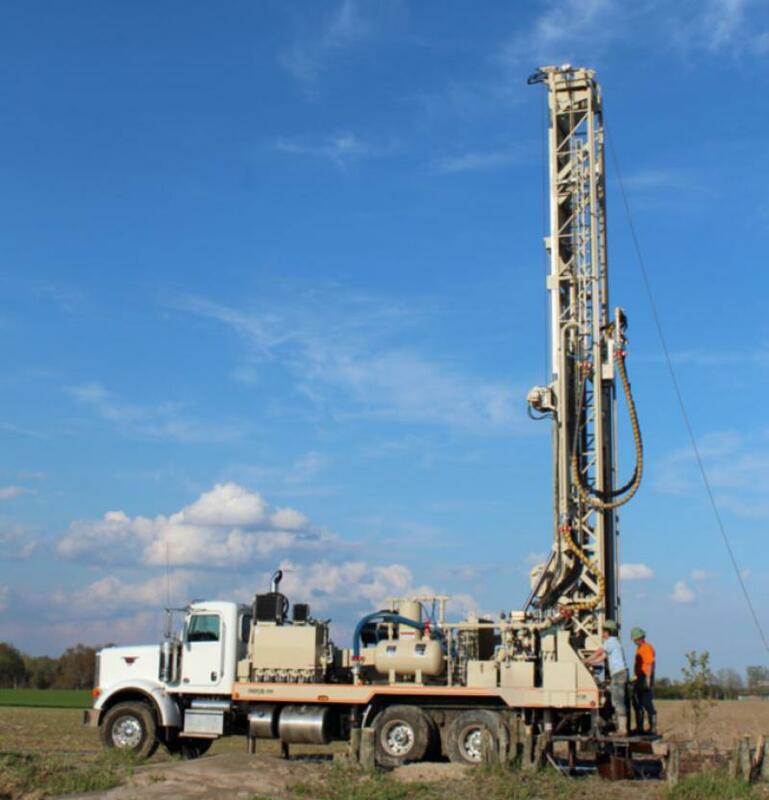 Pearson Drilling Company drills environmental-related borings and wells, heat pump boreholes, geotechnical drilling, and shallow and deep (500') wells. 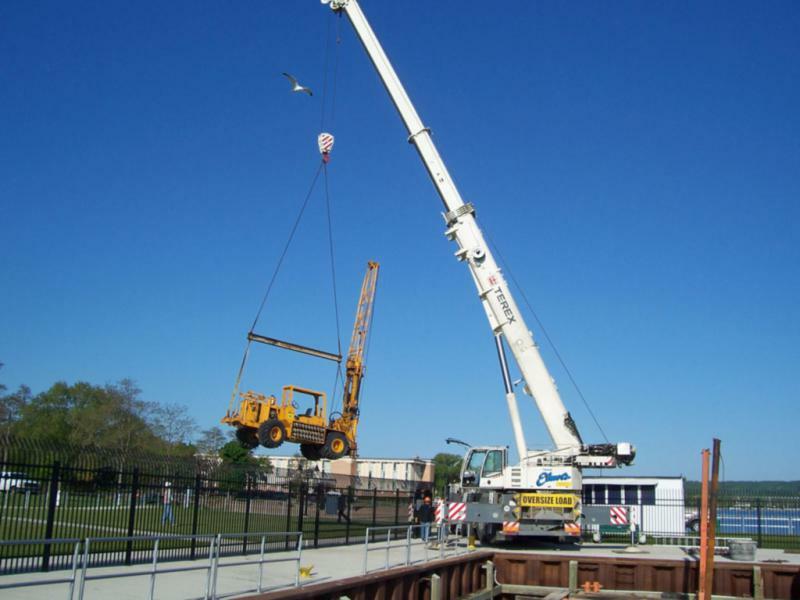 We own and maintain a fleet of equipment designed to give us the flexibility to perform a multiple variety of geotechnical tasks. We install geothermal loops, both vertical and horizontal for closed loop systems. Pearson Drilling crews are IGSHPA certified. B.E. 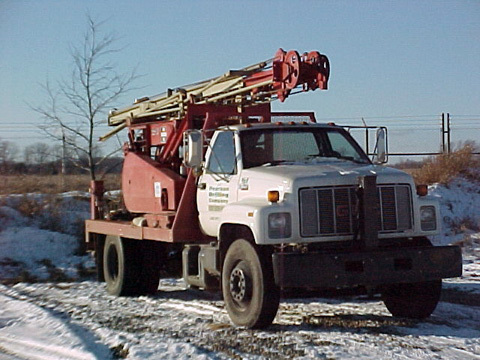 22W Truck Mounted Cable Tool Pearson Drilling Company owns and maintains a fleet of equipment designed to give us the flexibility to perform a multiple variety of tasks. Our B.E. 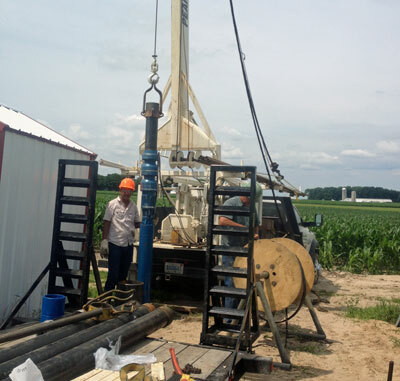 22W 4 x 4 truck-mounted cable tool is equipped to install 4" and 6" diameter wells and even larger wells have been installed with this rig. Mud System Our mud system a Mud Puppy MP-170-25C is equipped with a double 3'X 5' shaker with a 100 mesh top and 100 mesh bottom screen and three desanders. 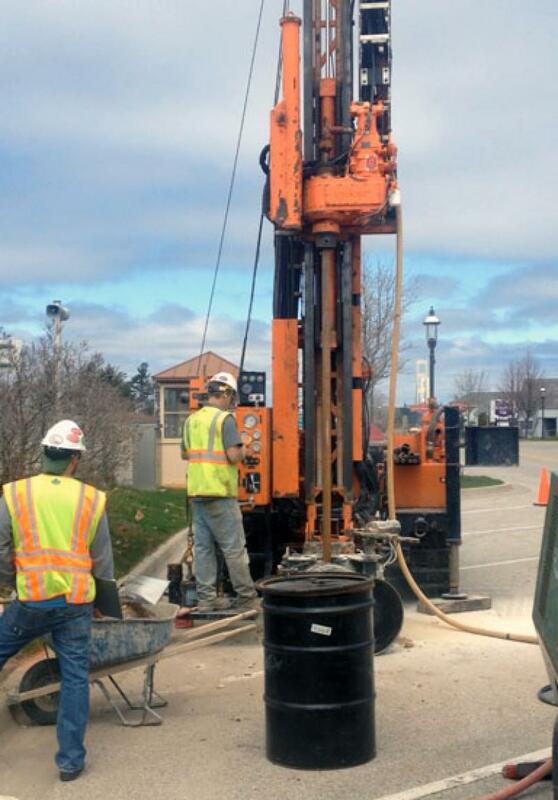 This system helps drill a clean hole and allows for a clean work site. Cuttings from rotary drilling are easily disposed of when using this system. The GEFCO 30K is perfect for shallow municipal or deep residential water wells. With 40,000-lbs (18,143 Kg) of pull back capacity and 25,000-lbs (11,340 Kg) single line winch combined with the hydraulic rod spinner makes tool handling fast and easy. This is the flag ship of the GEFCO water well line, and continues to be a leader in the ground water industry. 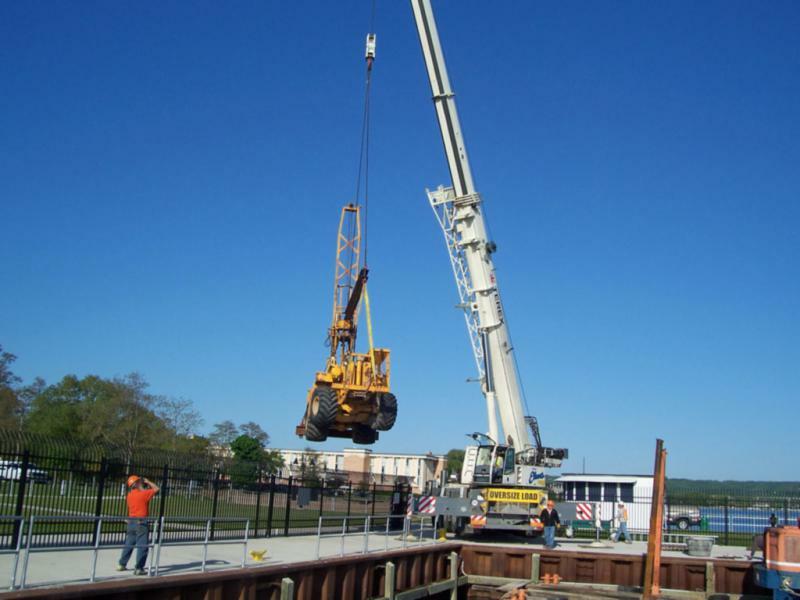 Pearson Drilling Company specializes in environmental drilling and services using efficient and environmentally-responsible equipment for your project. All auger drills are equipped with automatic hammers. 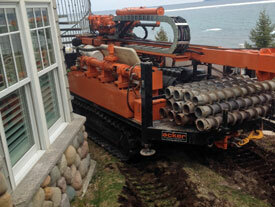 CME and Acker drills have grout pumps mounted on the drill and are capable of mud rotary, rock coring, and auger drilling. 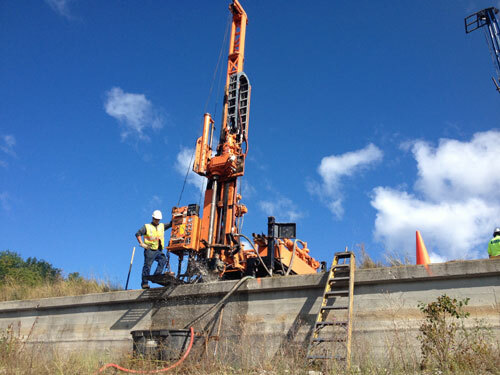 We drill environmental-related borings and wells, heat pump boreholes, geotechnical drilling, shallow and deep (500') wells and much more. 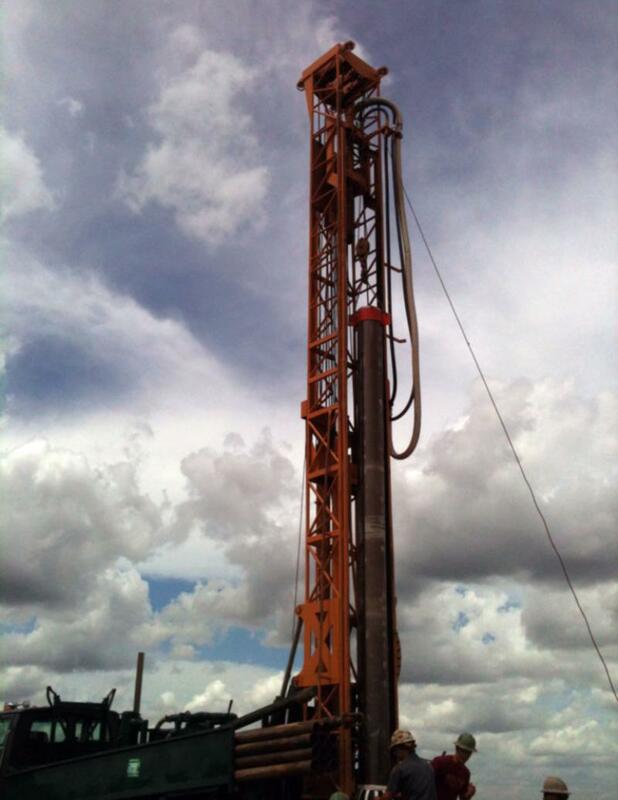 We have installed numerous monitoring wells, piezometers, inclinometers, recovery and soil vapor extraction wells and geothermal holes. 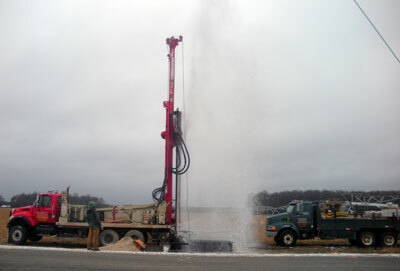 Our field testing capabilities include slug tests, aquifer pumping tests and well development. The Geoprobe 66 is a compact rig that was designed to meet the expanding needs of probing/direct push sampling technology in the environmental market. The Geoprobe 66 uses pressure sensitive hydraulics to provide accurate control of the feed system and a hydraulic percussive hammer for driving probe rods and sampling tools.This system yields fast, consistent probing rates without over stressing the tools. This rig is ideal for environmental site assessment work including taking soil, water or vapor samples and installing microwells or piezometers. Pearson Drilling Company uses the CME-750X a ATV carrier or Acker Renegade on tracks. These rigs have a very low center of gravity which provides the stability needed in off-road conditions, (both pictured below) to access remote and hard-to-reach location sites. 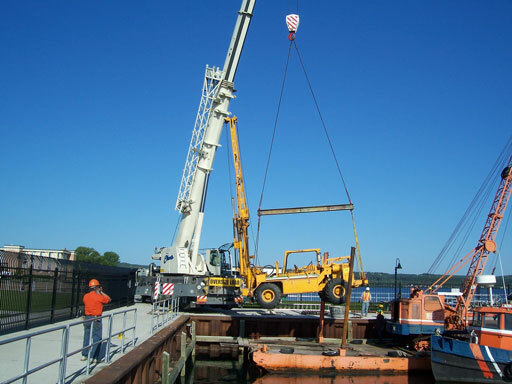 Pearson also has a truck mounted CME-75HT and Acker Renegade for road or easy access sites. With 30,000 pounds (13,608 kg) of retract force and up to 13,105 foot pounds (17,768 Nm) of rotary torque, the CME-750X is capable of drilling holes up to 15 inches (38 cm) in diameter using hollow stem augers. Our auger drills are equipped with split spoon samplers, safety hammers, teflon bailers and other necessary tools for soil or water sampling and monitor well installation. All of the CME auger rigs have quick disconnect derricks for work inside structures. All auger drills are equipped with automatic hammers for driving split spoon samplers. Pearson has available a Hydro-Punch sampler and a 2" submersible pump equipped with 300 feet of discharge tubing. 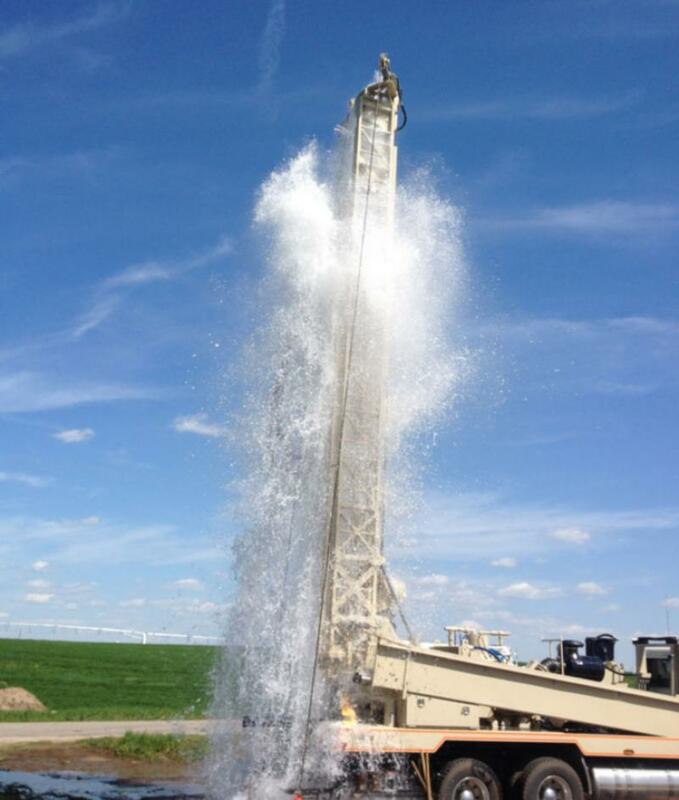 The CME-750x drilling rig is very fast. Retract rates of up to 90 feet (27 m) per minute mean quick cycle times when adding augers or tripping out of the hole. The dependable mechanical rotary drive is available with up to 13,000 foot pounds (17,628 Nm) of torque for auger drilling holes up to 16 inches (41 cm) in diameter. Sure...the CME-750X can get you to remote drilling sites that require all-terrian vehicle mobility. but it's equally at home on the concrete streets of a city. The RENEGADE has quickly built a reputation World-wide as a versatile, high performance drill with top-notch American Workmanship. Its strong torque and high RPM's offers "Best of Both Worlds" for contractors needing proficient coring, auguring and soil testing capabilities. The Acker Renegade is ideal for those hard to reach locations. 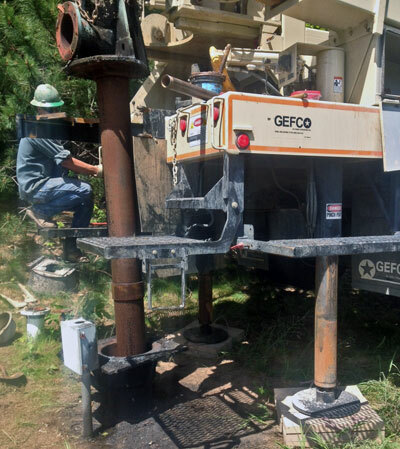 Pearson Drilling Company installs geothermal loops both vertical and horizontal for closed loop systems. We also install wells equipped with a constant pressure system for an open loop system. Proudly Serving our clients in Michigan, Indiana, and Ohio since 1989.